So, WrestleMania XXXII Broke a Whole BUNCHA Records! 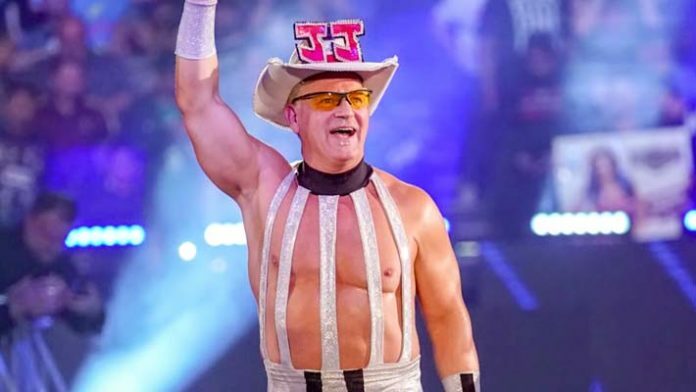 A bunch of things happened at WrestleMania 32, two weeks ago in Dallas (well, Arlington) and opinions range from “worst WrestleMania ever” (an unfair and whiny exaggeration) to “the greatest thing I’ve ever seen” (also exaggerated). Personally, I thought the show was really good, and the match of the night was — without a shadow of any doubt — the triple-threat match for the WOMEN’S CHAMPIONSHIP. Sasha, Becky and Charlotte knocked out of the park, and apparently, so did WWE. Audiophiles have a laundry list of reasons why you should be buying your music on vinyl, but with DJ Qbert’s new album Extraterrestria, aspiring turntablists (’cause DJ Hero isn’t too accurate) now have a reason to skip the MP3s too. Using printed MIDI technology from a company called Novalia, the artwork in the vinyl’s sleeve doubles as a DJ controller for Algoriddim’s djay iOS app. Hack Your Old Tape Decks to Scratch Cassettes Like Records! !